For many reasons, Berlin is one of the most exciting, vibrant, historical and enjoyable cities in the whole of Europe. Berlin is the capital of Germany and with a population in excess of 3.5m people, it is the largest city in the whole of Germany and the second largest city in the whole of the European Union, while being the 7th most populous area. The wider Berlin-Brandenburg region plays host to 6 million. Amongst all of the places of great historical interest, you will find that Berlin is a place for lovers of parks and nature. This is because close to one-third of the area of the city is made up of rivers, lakes, gardens, parks and forests. For a city with a massive population, this is a tremendous achievement and it helps to give Berlin a feeling of spaciousness that many major cities lack. With the Spree and Havel flowing through the city, there is always something worth watching in Berlin. 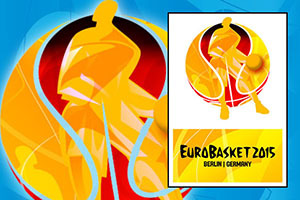 There will definitely be something worth watching in Berlin in September because the city is one of the host cities for the 2015 EuroBasket event. The Mercedes-Benz Arena (perhaps better known to basketball fans as the O2 Arena, which was its previous title), plays host to Group B in the tournament and this is one of the finest arenas for basketball in Europe. 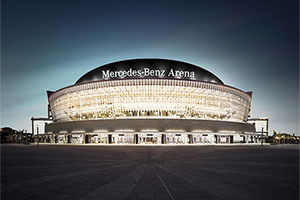 The name change was only put into place earlier this summer after a 7 year partnership between the arena and O2, but it looks as though Mercedes-Benz is gearing up for a lengthy partnership with the venue having signed a 20 year naming deal. The Berlin basketball arena opened in September of 2008 and while the venue can host 17,000 for concerts, the capacity for basketball games is 14,500. The venue is host to the ALBA Berlin basketball team, and has played host to a great number of major basketball games. In the 2014/15 Euroleague season, ALBA Berlin made their way through to the Top 16, which provided basketball fans in Berlin the opportunity to see some of the best stars in European basketball at first hand. The venue also played host to the 2008/09 Euroleague Final Four event, which by the way will be repeated in 2016, so it has considerable experience in hosting major sporting events. Construction work on the arena started in 2006 and by the time the venue opened in September of 2008, the cost of construction was €165 million. It is however, a multi-purpose venue in regular use and the arena has welcomed some of the biggest musical acts and stage-shows to Berlin. 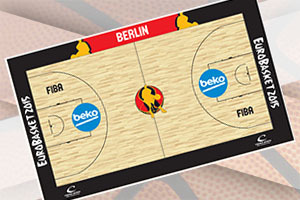 With major train stations and lines closely to the station, it is possible to connect to the arena from all across Berlin and Germany, making it an ideal location for the 2015 EuroBasket event. Three games a day will take place in the venue, with games scheduled for Saturday the 5th of September, Sunday the 6th of September, Tuesday the 8th of September, Wednesday the 9th of September and Thursday the 10th of September. This leaves Monday as the day off in the group meaning that there will be three days of play in a row at the climax of the group. There will be four teams making their way from Group B to the knock-out round and the venue looks set to be the host for a great run of games in the week ahead. Germany are involved with Group B, and you can expect the home fans in Berlin to raise the roof for their national heroes. They won’t be the only fans making some noise though as Berlin looks set to welcome fans from Spain, Italy, Serbia, Iceland and Turkey to the Mercedes-Benz Arena for Group B of the 2015 EuroBasket event.